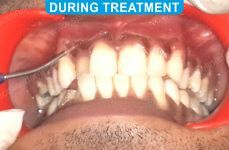 Some cases have dark gums due to excessive melanin pigments. 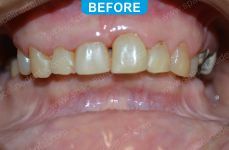 These can be mostly genetic. 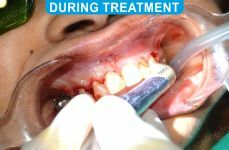 It can be removed within a day with laser painlessly and without injection. 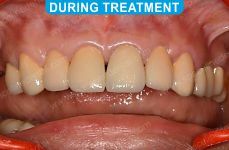 Extensive dental treatment with multiple root canals implants and crowns along with Osseous Crown Lengthening Done with (waterlase) Erbium Laser. 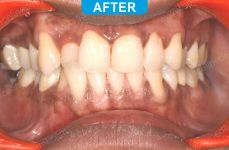 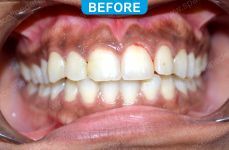 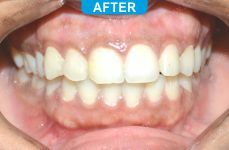 Gummy smile corrected for the patient with laser without any sutures for a 60 year old patient. 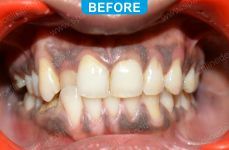 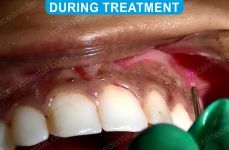 A case with loads of calculus, tartar, plaque, food resulting in severe spongy and bleeding gums. 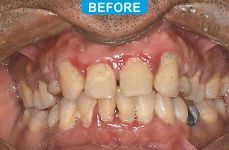 Treated with erbium crysgg laser. 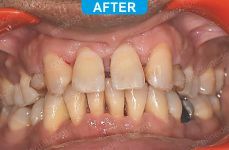 Result shown after one month of treatment.